A critical part of our work in the social sciences and design is to conduct activities and create artifacts that bring together the varying perspectives on the team; the shared goal is to deliver the best possible business outcome. Yet, the pressured facing commercially-focused teams makes it challenging to deliver one’s own work and make all the necessary connections to others. Furthermore, the desire to work across disciplinary boundaries is not necessarily shared by our teammates. In short, we have lots of work to do to cultivate true collaboration across the varied disciplines with whom we collaborate. In this talk, Natalie discusses both current academic literature and her practical experience to provoke discussion about how we might get started on this journey. 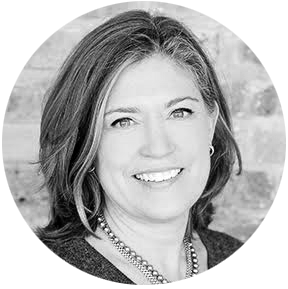 Natalie D Hanson is a Principal and partner at ZS, where she built and now leads the User Experience team across both software development and technology consulting organizations. Prior to ZS, she worked at software giant SAP, where she also built a User Experience team supporting Board-level projects. Natalie holds an MA in Whole Systems Design from Antioch University Seattle, and a PhD in Anthropology from Temple University. She researches work practices and work environments, with a focus the ways institutions respond to macro-economic, industry, and regional trends, and how the resulting organizational changes affect the lives of employees. Natalie is the founder of anthrodesign, a vibrant, global, online community of over three thousand multi-disciplinary researchers who use ethnographic methods in the business setting. She blogs episodically at http://www.nataliehanson.com.